Robert Byrge grew up in the west Texas border town of El Paso, moving to Lexington in 1982. As the son of an electrical contractor he was exposed to construction at an early age, often working with his father during the summer. He excelled in art and drafting in high school so continuing his education in architecture was a natural fit. As he likes to say, it was back when you had to know how to draw instead of work a mouse. After beginning his career at Jerrico in Lexington, where he learned about CAD drafting and computers, he worked for several other architectural firms throughout the years. In August of 1995 he opened the Kentucky office of Snapp & Associates, where he was the lead architect. 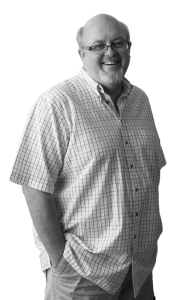 Much to his delight, in December 2011, Robert became the proud owner of the Kentucky office, changing the firm’s name to REB Architects, PLLC. Bob loves traveling, having visited most of the Caribbean islands as well as several South American countries and Hawaii. He also enjoys photography and has many of his photographs from his travels displayed in the office of REB Architects.